We are so excited to introduce our new jar lid fabric covers available in mixed floral patterns (your choice of pink and white or blue and white mix) and hessian and lace. 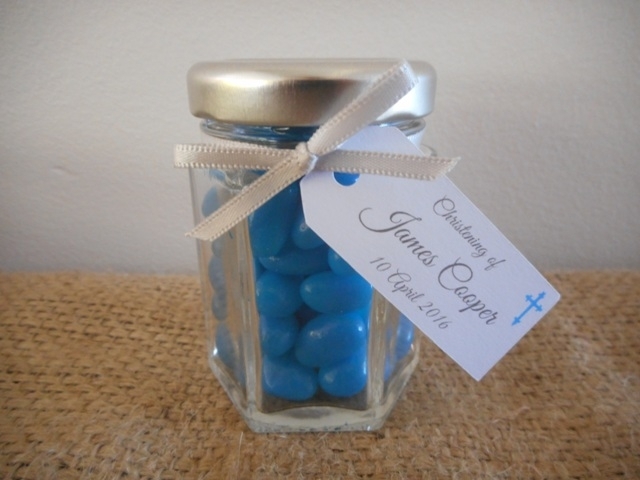 Perfect for making your own mini jam or honey wedding favours! Popular for rustic or vintage style weddings and special events. We are offering a 10% discount on our covers if purchasing with our small glass jars. Minimum order is 30. Covers include rubber bands. Our new pretty floral round personalised labels are perfect for vintage weddings. Apply on our 50ml square jars and make your own homemade jam! Otherwise if your wedding is more rustic themed consider our kraft labels and apply on our small 60ml square glass olive oil bottles. Various label designs available. Personalised Kraft or White Tags, Hessian Gift Bags PLUS our Small 40ml, 50ml, 55ml and 110ml Jars are NOW AVAILABLE with Silver Lids! Having a rustic style wedding? You will love our Personalised Kraft Tags! Or consider our Hessian Bags offered in various sizes. Attach with our personalised tags and natural twine. 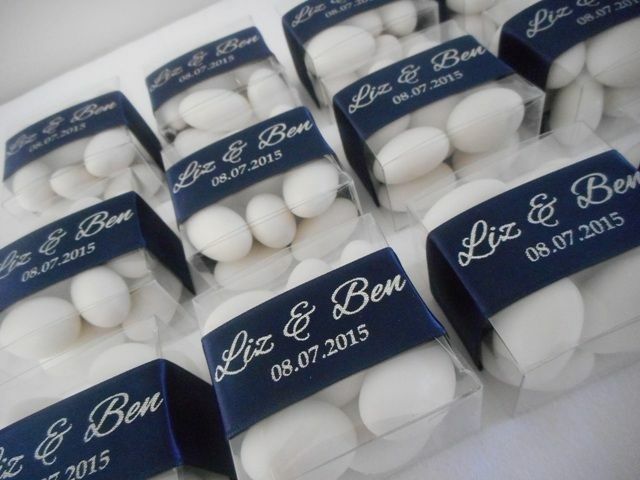 Our white personalised tags as just as beautiful for more formal occasions. Sugared Almonds available in White, Pink, Blue, Green, Yellow, Lilac and Peach. Various print and ribbon colours available to compliment your theme.